These new developments have made the Manafort saga feel increasingly like the plot of a spy novel. Robert Mueller’s prosecutors dropped a legal bombshell on Monday when they revealed that Paul Manafort, President Donald Trump’s former campaign chairman-turned-cooperating-witness, had violated his plea agreement by lying to the special counsel’s team. In my 30 years as a federal prosecutor, I’ve experienced this very circumstance. But in the aftermath of that revelation, we also learned that while Manafort was “cooperating” with Mueller, one of his lawyers was reporting back to Trump’s legal team. In a very real sense, it now appears that Manafort and/or a member of his team served as a mole inside the Mueller investigation. This apparent two-timing raises many questions, some of them quite novel. A review of Monday’s filing discloses some important clues about the first issue: Manafort’s alleged dishonesty. 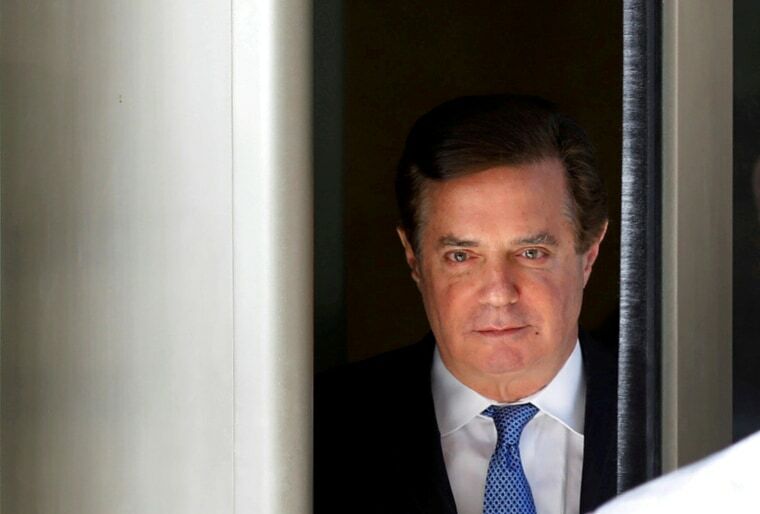 Prosecutors bluntly state, “After signing the plea agreement, Manafort committed federal crimes by lying to the Federal Bureau of Investigation and the Special Counsel’s Office on a variety of subject matters, which constitute breaches of the agreement.” The prosecution is clearly and unequivocally claiming that Manafort lied to them. The corresponding denial by Manafort’s defense team, however, also provides some insight: “Manafort has provided information to the government in an effort to live up to his cooperation obligation. He believes he has provided truthful information and does not agree with the government’s characterization or that he has breached the agreement” (emphasis mine). Having seen hundreds of such court filings as a prosecutor, this language suggests that even Manafort’s attorneys recognize their client has been lying to Mueller’s team. If on the other hand Manafort’s defense team believed Manafort had been telling the truth during his meetings with prosecutors, they would have said so, with stronger phrasing along the lines of “the defense strenuously disagrees with the prosecutors’ assertion that defendant Manafort lied during the course of his cooperation.” It’s likely the defense would also have demanded an evidentiary hearing to prove Manafort did not breach his agreement. Their failure to do so is another sign that Manafort lied to prosecutors. This in turn highlights both Mueller’s determination to accept only truthful information from cooperating witnesses, and Manafort’s chronic dishonesty. Notwithstanding the fact that his cooperation has been breached, Manafort now heads back to court for sentencing. This is interesting for two reasons. First, it signals that Mueller is content to be done with Manafort rather than withdraw from the agreement due to Manafort’s breach and put his D.C. case back on the docket for trial. We can thereby infer that Mueller has squeezed all the truth he can out of Manafort and is ready to bring an end to their relationship. Second, it reinforces the fact that Manafort’s defense team will not try to fight Mueller’s contention that Manafort lied, suggesting they are ready to cut their losses and take their lumps at sentencing. The sentencing most likely will not go well for Manafort. His breach of the cooperation agreement almost certainly means he will serve a far lengthier prison term, perhaps upward of two decades. Manafort could also face additional criminal charges if prosecutors indict him for lying. However, given Manafort’s age, 69, and the prison term he already faces as a result of his conviction in his Virginia case and guilty plea in his D.C. case, additional charges make little practical sense. The “mole-in-the-Mueller-investigation” subplot, meanwhile, will have consequences for all involved. It is now impracticable for Mueller to call Manafort as a testifying witness in future trials. But if Manafort has provided information that could help convict other targets of the investigation, Mueller will be unable to use said information in a court of law (though it could potentially be used in an impeachment hearing). Obviously, this could hamper Mueller’s efforts in certain respects. Another interesting question is whether Manafort or his lawyers could face separate legal consequences as a result of the information-sharing relationship with Trump’s legal team. Could this arrangement constitute a criminal conspiracy or obstruction of justice? There is no clear-cut answer. Usually, joint-defense agreements, like the kind Manafort and Trump’s legal team apparently entered into, end when a defendant decides to cooperate with the government. If the joint-defense agreement between Manafort’s team and Trump’s team remained in existence during Manafort’s cooperation, there is a supportable argument that Manafort and his attorneys technically did nothing illegal or unethical. This calculus would change if Manafort or his lawyers affirmatively mislead Mueller by falsely hiding this agreement. We should expect more details to be revealed in the coming days as the Mueller and Manafort teams return to court. Whatever happens next, however, these new developments have already made the saga feel increasingly like the plot of a spy novel — Manafort certainly has the couture tastes of a Hollywood villain. Extending that metaphor, we may be finally entering the movie’s car-chase phase as this investigation hurtles toward its ultimate conclusion.